Photo Background Remover 4.1 was available as a giveaway on October 8, 2018! 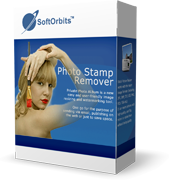 Photo Background Remover helps to clear digital shots from unwanted background in batch. Manual removal is performed with the aim of two markers: a red marker is used to define the background area that will be removed, while green marker selects the area that will stay untouched. Automatic background removal doesn’t require any manual adjustments, the program will clear an image by itself. 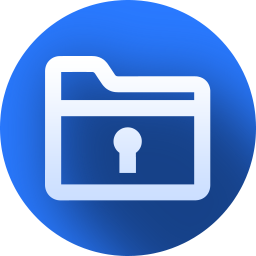 The program also features watermark protection. How would you improve Photo Background Remover 4.1? Yesterday I loaded this program but I haven't receive license key yet. Good for basic background removal but you can't remove the finer detail such as the background mixed with a persons hair. I made a mistake and used the green bush on the background, then I found that I could not remove my green line on the background. I needed to select the red brush several times such a changing the brush size. The smallest brush can't be seen. Apart from that it's a easy to use program that gives good results. Good for basic background removal but you can't remove the finer detail such as the background mixed with a persons hair. I made a mistake and used the green bush on the background, then I found that I could not remove my green line on the background. I needed to select the red brush several times such a changing the brush size. The smallest brush can't be seen. Apart from that it's a easy to use program that gives good results. I've found PhotoScissors, a couple of different versions of which have been offered here, works well, at least for the kinds of things I use it for. It has a few annoyances, but they're fairly minor, and I use it often. I am going to give this product a Six out of Ten. It's free as of today. Thank you SoftOrbits and GOTD. I'll be honest I was somewhat excited at first to try this as I do edit a lot of images. After installing it and everything I tried it on several images and wasn't please with it's results really at all. The description makes it sound as if the program will detect the background by itself and remove it automatically which is not the case. You need to outline what you want to keep in the photo with green than outline what you want in red. Not time consuming but it's not very effective almost any program that has a magic eraser will out preform this program with cleaner results as the program loves to soften the outline and not give a clean boarder. Not bad but I just don't see a purpose for it myself compared to many others. If you are looking for something like this give "Photo POS Pro 3" a shot (yes horrible name lol). It is free with a few minor limitations mainly resolution but offers more and is far more automated with background removal. I'll be honest I was somewhat excited at first to try this as I do edit a lot of images. After installing it and everything I tried it on several images and wasn't please with it's results really at all. The description makes it sound as if the program will detect the background by itself and remove it automatically which is not the case. You need to outline what you want to keep in the photo with green than outline what you want in red. Not time consuming but it's not very effective almost any program that has a magic eraser will out preform this program with cleaner results as the program loves to soften the outline and not give a clean boarder. Not bad but I just don't see a purpose for it myself compared to many others. If you are looking for something like this give "Photo POS Pro 3" a shot (yes horrible name lol). It is free with a few minor limitations mainly resolution but offers more and is far more automated with background removal. When trying to get an activation code, the web page says "Offer is expired" ? I don't understand why people complain and moan about products they get for free! Nobody put a gun to your heads to download it. Hi Harry , seen your comment, do you have anything to do with GOTD? Just curious, see that you pay attention :-) . No offense at all Johan. Happy Monday to all ! Hi Harry , seen your comment, do you have anything to do with GOTD? Just curious, see that you pay attention :-) . No offense at all Johan. Happy Monday to all ! and the comments are made for improvements or positive remarks, I think its unkind for some people to leave such negative comments instead of thanking GOTD for giving you the opportunity to try the programs, and then comment on the improvements that can be made or other programs you prefer to use over this one. Please be kind, I have got some wonderful software here. Please be kind, Id like to continue coming here. thanks again. Thank you. Quick install, activation and successfully removed a background on a photo with ease. John, here's the problem. You didn't try THIS program, so you have nothing to say about it. Anything else you tried is irrelevant. No need to abandon, just learn to ignore it. Sometimes when you press it jumps two, three or even four points! Anyway a combined system is bad, there should be positive points and negative ones, not a combination where nought can mean that both sides or equal or that nobody is interested. John, No need to abandon, just learn to ignore it. Sometimes when you press it jumps two, three or even four points! Anyway a combined system is bad, there should be positive points and negative ones, not a combination where nought can mean that both sides or equal or that nobody is interested. Zen , the fact that it jumps several points when you click only means that votes by others since you last refreshed your page are taken into account.This happens on all sites where there is an upvote/downvote system. But yes, this recurrent discrepancy between comments and votes whenever SoftOrbits is present here is suspect, to say the least. John, it is a shame that GAOTD allows itself to be used by this Russian company. The positive rating of all it's offerings on here are obviously boosted by SoftOrbits itself or people and bots acting on behalf of it. Each time it has a giveaway here the positive rating is higher than that of any other giveaway from any other developer. This may be the way Russia does things and thinks it is oh-so clever, but it shouldnt be accepted by the rest of us, which is why I would never touch a SoftOrbits software at all. Your comment: " Sometimes when you press it jumps two, three or even four points!" The reason for the jump more than 1 is due to others having pressed the same button since your page was last refreshed. During peak viewing times, i have refreshed the page and seen the counter skyrocket over and over. Sometimes it doesn't jump at all after a click; that happens when someone clicks for a positive increase but someone else has clicked for a negative decrease. When the page refreshes the displayed count, it has to take into consideration all of the accumulated clicks. That is just how these things work from a tabulating standpoint; nothing odd about that part of it. There is a peak time when the majority of the wold will be viewing the page, and likewise, a low period that trails off after a day or so. During the slower times, you will generally see a single digit change. During peak times, I have seen it jump more than 5 or 6. Those ones end up having huge counts, indicating a very much loved program or a very hated one. Since people can vote from all over the world, there really isn't much that GOTD can do to control the counts, so they could be from supporters of the program or regular citizens. Just like a company could have several of their supporters vote, likewise, so could any other individual get several others to vote in one direction of the other. Overall, and for the majority of time, it is probably not too far off. The only thing you can do is just take it with a grain of salt (less stress that way). Zen , Your comment: " Sometimes when you press it jumps two, three or even four points!" The reason for the jump more than 1 is due to others having pressed the same button since your page was last refreshed. During peak viewing times, i have refreshed the page and seen the counter skyrocket over and over. Sometimes it doesn't jump at all after a click; that happens when someone clicks for a positive increase but someone else has clicked for a negative decrease. When the page refreshes the displayed count, it has to take into consideration all of the accumulated clicks. That is just how these things work from a tabulating standpoint; nothing odd about that part of it. There is a peak time when the majority of the wold will be viewing the page, and likewise, a low period that trails off after a day or so. During the slower times, you will generally see a single digit change. During peak times, I have seen it jump more than 5 or 6. Those ones end up having huge counts, indicating a very much loved program or a very hated one. Since people can vote from all over the world, there really isn't much that GOTD can do to control the counts, so they could be from supporters of the program or regular citizens. Just like a company could have several of their supporters vote, likewise, so could any other individual get several others to vote in one direction of the other. Overall, and for the majority of time, it is probably not too far off. The only thing you can do is just take it with a grain of salt (less stress that way). I honestly don't care which country the (any) software originates from as long as I consider it to be useful to me. You seem more concerned that SoftOrbits is a 'Russian' company rather than the quality of their software. I have software on my computer from various countries. For example I use AIMP player (Russian) as my default music player (which I highly recommend by the way), and I use FastCopy (Japanese) for moving files from one drive to another. As for SoftOrbits' software, I personally have not found any of their programs to be of any use to me. Oh dear, I must have boosted SoftOrbits rating again. Damn! Barbara K, I honestly don't care which country the (any) software originates from as long as I consider it to be useful to me. You seem more concerned that SoftOrbits is a 'Russian' company rather than the quality of their software. I have software on my computer from various countries. For example I use AIMP player (Russian) as my default music player (which I highly recommend by the way), and I use FastCopy (Japanese) for moving files from one drive to another. 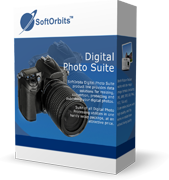 As for SoftOrbits' software, I personally have not found any of their programs to be of any use to me. Oh dear, I must have boosted SoftOrbits rating again. Damn! Have you seen or used the following programs? ImageSkill Background Remover is a Photoshop plugin and it's the one I use the most. 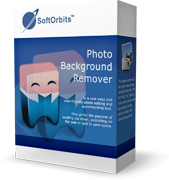 So easy to use and does an awesome job out of all these background removers that I have used. I brought FluidMask a while back with a 80% discount through the PC World shop newsletter that I have subscribed to. I think you'll also find that this too is one of the best background removers on the market. It comes as standalone program as well as a Photoshop plugin. Watch the video on the front page to see how easy it is to use and the results are amazing. Anyway check them out as I am sure both these programs will impress you. Hi John, Have you seen or used the following programs? http://www.imageskill.com/backgroundremover/backgroundremover.html ImageSkill Background Remover is a Photoshop plugin and it's the one I use the most. So easy to use and does an awesome job out of all these background removers that I have used. Another one you might want to look at and consider is: https://www.vertustech.com/ I brought FluidMask a while back with a 80% discount through the PC World shop newsletter that I have subscribed to. I think you'll also find that this too is one of the best background removers on the market. It comes as standalone program as well as a Photoshop plugin. Watch the video on the front page to see how easy it is to use and the results are amazing. Anyway check them out as I am sure both these programs will impress you. No collusion. There is no collusion. @ Barbara K, No collusion. There is no collusion. Zen , the counter jumps is fine. It can be that in the time between you loading the page and you giving a voting other users did their voting and so you get the current state of votings displayed, which may be different to what you saw at first. Downloaded and installed on Windows 10 Version 1803 x64 without a hitch. Very easy registration. Opened and actually had fun using this :) Thank you SoftOrbits and GOTD; now I'm going to play! Kjell Dahl, I am assuming you have tried it then since you commented on it? skd, I haven't tried it yet. But will as soon as I decide to. Don't waste your time using Background Remover. In the past, I downloaded Background Remover and was not impressed with the results. It removed some of the objects and left in it's place blurry areas. Along with, smudged pixels and small parts of the removed item were placed on other areas of the remaining image.The red and green markers are a joke. It never does get it right. Tried to touch up the Background Remover image with Photoshop till I ask myself, why am I doing this? I then deleted it! Affinity family (Photo, Designer, Publisher) is the best editors, I using on every day. With this can remove background too. Harry, May I point out that some programs have already been given away more than once and are in circulation every year. Some with a different figure behind the comma. In other words; you know very little how that goes with GOTD.